Over the past few months we have had some wonderful posts about the Evliya Çelebi Way Project, mostly contributed by Gerald Maclean (Mac). 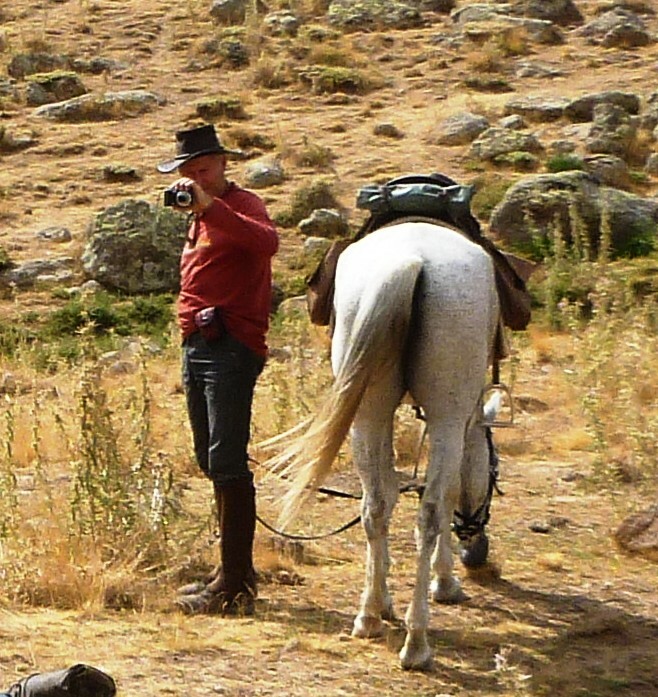 In this new series of posts titled Central Anatolian Trek, or Büyük Anadolu Tür, we present some stories about the 2014 Ride by another of the original riders from the 2009 Expeditionary Ride, Donna Landry. 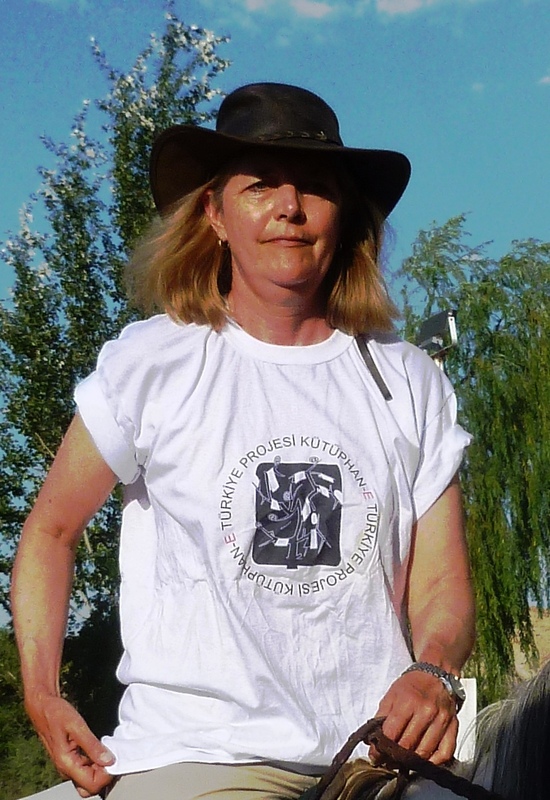 Donna is also one of the authors of The Evliya Elebi Way: Turkey’s First Long-Distance Walking and Riding Route. Caroline Finkel and Kate Clow with Donna Landry . We hope you enjoy following Donna’s experiences of the 2014 ECW Ride. We should begin with the horses. Without the horses, there would be no expedition. Avanos. On Saturday the 16th, five of the team took to the saddle for a trial run. Leaving behind the shade of the Kızılırmak River Valley, we rode to ‘the mountain’, as it is known: Ziyaret Tepe, the hill on the slopes of which Avanos nestles. 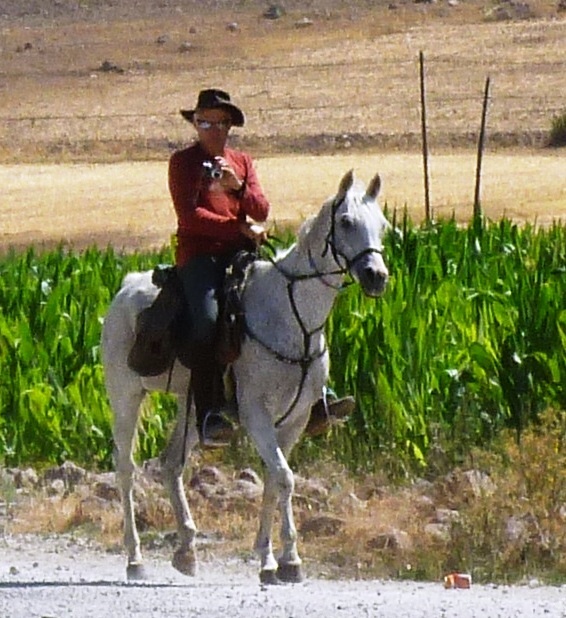 Ercihan rode Anadolu, his endurance champion mare who led the 2009 Evliya Çelebi Ride, Susan her favourite Juno, a veteran traveller. Ann rode Kelebek, a purebred Arabian from the TIGEM Karacabey stud, who has made every expedition since arriving in 2010 at Akhal Teke. Kelebek is beloved of many, and Ann has happily partnered with her before. This was a good fit since both Kelebek and Ann enjoy a certain independence. They like to set their own pace, and are not bothered by being at a distance from the rest of the group. 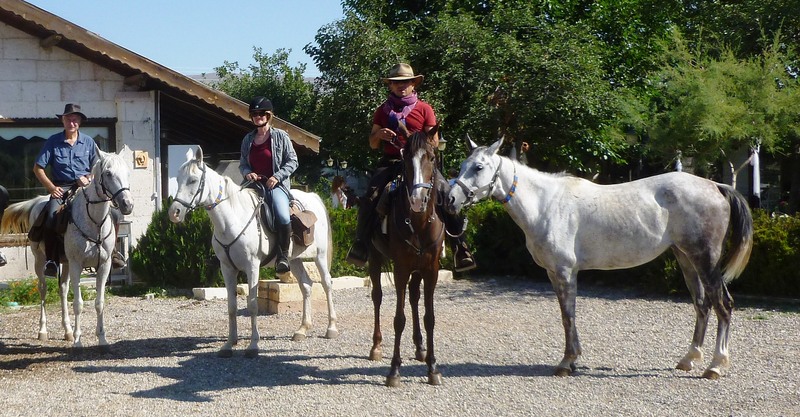 Jude, just arrived from the West Coast of the States, and in Turkey for the first time, rode the grey Zorlu, a recent acquisition, and a very lively ride who travelled on the 2013 Evliya Çelebi Way Ride, regularly ridden by Mac. 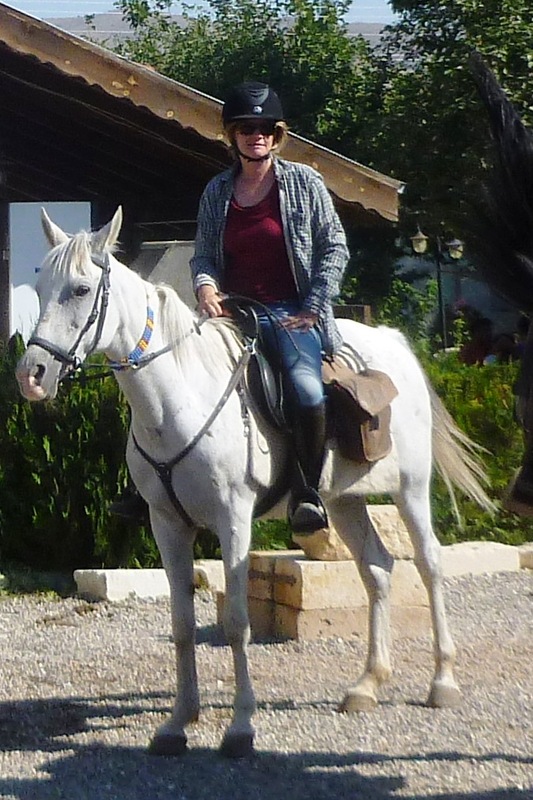 She bears some resemblance to Titiz, ridden by Donna in 2009 and 2010 on the Evliya Çelebi Way. Donna rode Aşgar, the horse she would be sharing with Mac once the heat of mid-August abated. 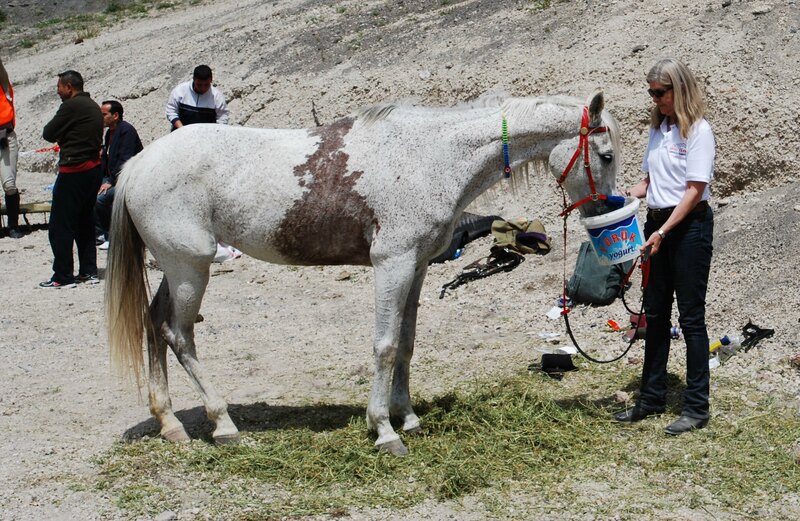 This tall bay mare from Urfa, near the Syrian border, is nothing like an Arabian. She resembles Anadolu in her legginess, her longish back and loin, and her cleverness up and down mountains and over stony ground. Jude, who breeds Akhal Tekes in Oregon, thinks that Aşgar and Anadolu may well have Akhal Teke blood. Mac had ridden her with delight at the start of the 2013 Ride. 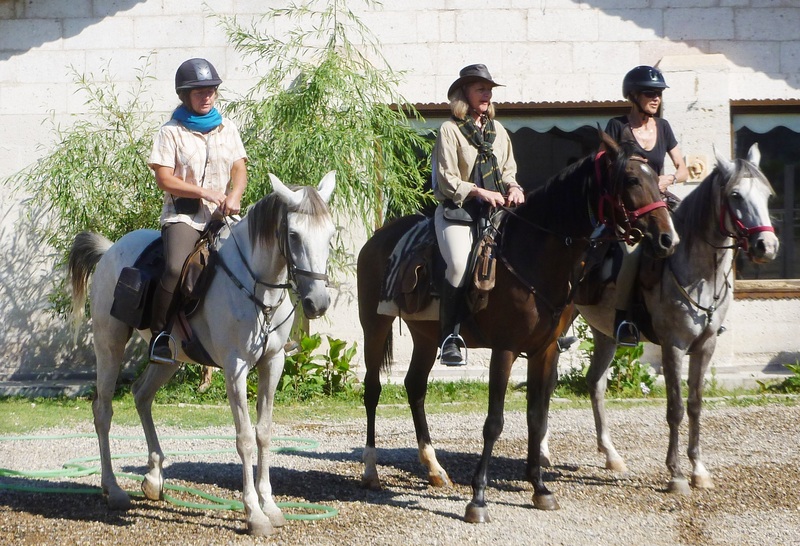 Following sandy tracks through vineyards and small orchards, we ascended, building muscle and testing our wind, walking trotting, cantering. We left the tracks behind and cut across the mountainside, now up, now down, through patches of dry thistles and scrub. We were getting a feel for our horses’ way of going. And checking that the saddles fit well enough for such rugged terrain, with their breastplates, saddle bags, and in some cases leather water-bottle holders. A misfit for horse or rider, if undetected now, could prove disastrous later on the road. Two and a half hours passed most agreeably. We were all happy with our mounts and they with us. When Jean arrives from Belgium, he will accompany Zenopya (one of Donna’s favourites, a genuine ‘bloody-shouldered Arabian’). 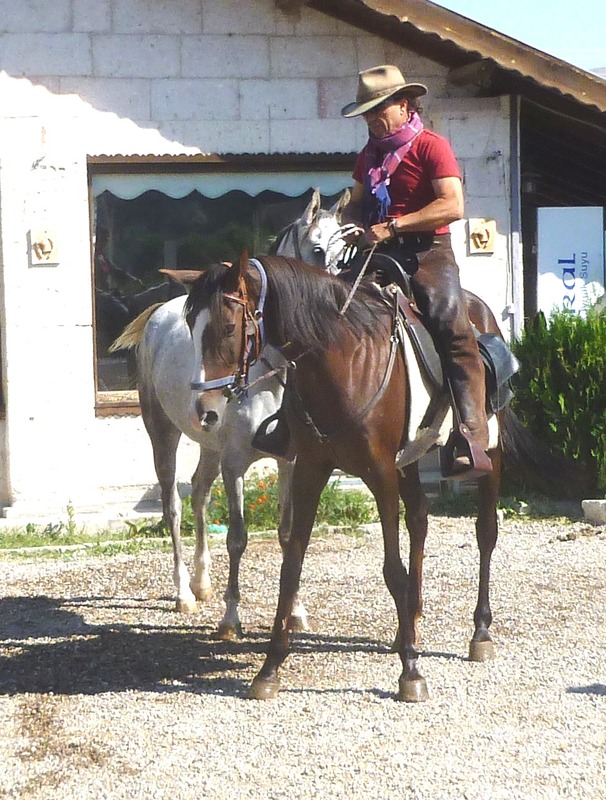 All-rounder Tuvana will come along as yedek, so that there is always a spare horse, and one for any extra riders. This is the traditional Ottoman and Turkish method. Sometimes in open country, away from roads, the yedek is set free rather than led from the back of another horse. When she gallops past, snorting, with her tail over her back, often dangling a mouthful of sweet long grass, it is clear that equestrian expeditions have been designed solely for the entertainment of the yedek. 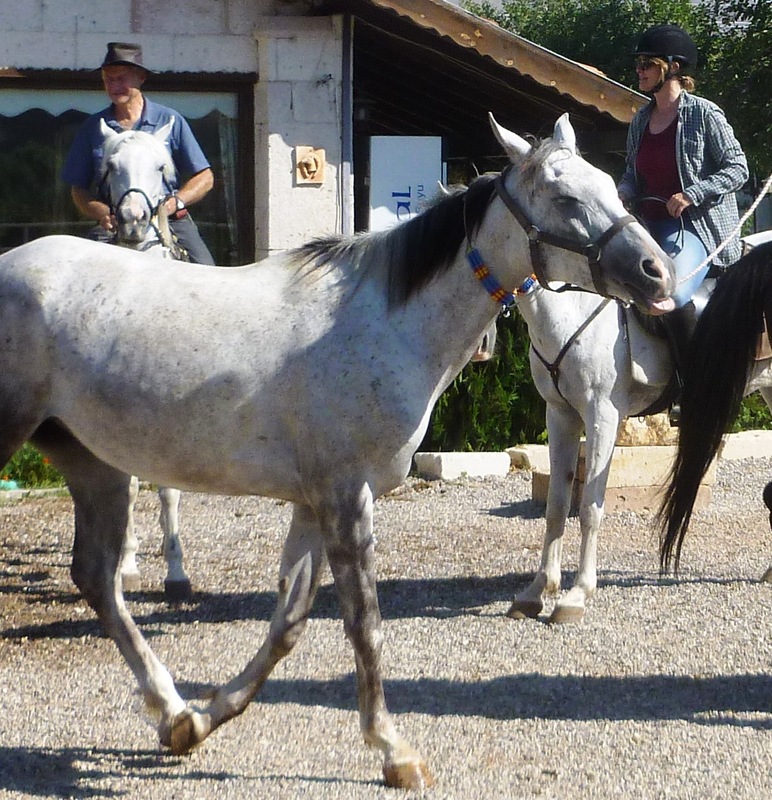 Tuvana would be bound to enjoy herself, dawdling to graze and then performing her favourite trick of coming from behind like a speeding bullet, a trick always disconcerting to somebody riding her for the first time (and sometimes for those she is passing). Right from the start, she would assert her independence. We dined that night by lantern light on the romantic roof terrace of Bizim Ev in Avanos – with little doubt the best place in town for genuine local dishes uncontaminated by the demands of tourist fare – a fitting send-off before imagined rigours to come.